I’m so happy to feature Brynn’s amazing success below. 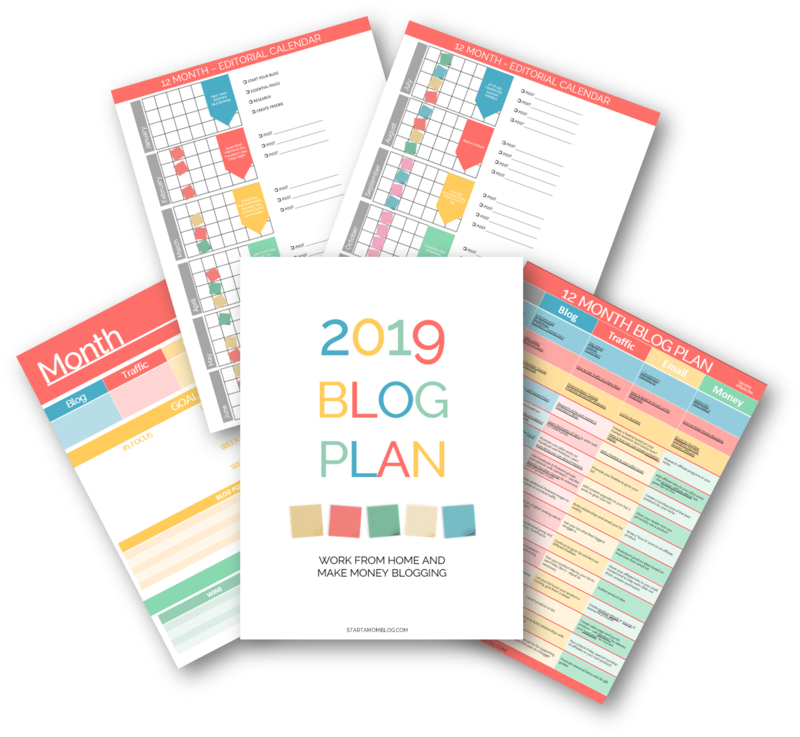 Within her first few months of blogging she was making a profit and getting thousands of page views, be sure to check out her income report at the bottom of this post. This is her story. I created this blog on December 28, 2016. However, I didn’t start writing or posting things until September 28th, 2016. Yes. It took me that long to gain the courage to put my words out there into the vast internet for anyone to read. From September 28th-November 27th, I had already earned over $1000 in income and reached well over 15,000 views on my site. To say that I am shocked would be a complete understatement. To say that I did anything “right” would be categorically incorrect. Like most, I am figuring this whole thing out as I go. In the spirit of transparency here is my timeline, what I did, goals I set, and my income report. I hope this will encourage other blogging newbies (as I still consider myself) to go for it! I still haven’t met my goal, but I am progressing. Forward motion is what is important. You will get discouraged (if you haven’t already), so remember to take one more step forward when you are in that place. You’ll find your way out eventually. So, grab your coffee and notepad and let’s get to work! I am a writer. It is important to know what you love and where your strengths and weaknesses lie, regardless of what you choose to pursue in life. What I can be sure of is that life is hard. Being a wife and a mom is hard. Balancing career and family is hard. But, for me, writing is natural. Believe me when I say that many things are difficult for me. I couldn’t figure out a math equation if my life depended on it, but I can write a 2000 word article in 20 minutes flat. I also know that I am funny. I have read many times to “do in life what people always ask you for or appreciate you for.” I have always been told that humor is one of my best attributes. So, writing in a way that is raw and real and also incredibly hilarious comes very naturally to me. Life is super funny when you don’t take yourself too seriously. I mean, I mess up motherhood millions of times a day, but I can’t afford that therapy bill. Laughter is free! I live tiny, my husband Roadschools our kids, and my son has 5 behavior diagnosis. Yes. This is my REAL life. So, that is what I write about. Lots of folks write about the importance of finding your niche but I just write about real life; the everyday, the mundane, the run-of-the mill chaos that is adulting and parenting in this world. People want someone they can talk to; a girlfriend they can relate to in a no judgement zone. So, I provide that for them, with laughter and honesty and they can read it all in their yoga pants with total anonymity. No seriously, y’all. I had exactly zero knowledge of SEO, email funnels, eBooks, or social media boosting. I am still learning. I have a short-lived background in marketing, public relations, and sales. That has helped me have the drive needed to really sell myself through this website. If you have a goal to earn money through your website, that is what you are doing: selling yourself. You may have a product, an eBook, or downloadables, but ultimately you must sell who you are to increase your following. The more people who want to hear what you have to say, the more likely they are to trust you and, eventually, buy from you. This cannot be stressed enough. Much research supports successful business people being lifelong learners and that could not be more true. I am constantly reading articles, following other bloggers, taking eCourses, participating in webinars, and learning by communication through social media groups with other writers. This was especially crucial as I started out because that is how I learned what steps to follow. Here are the eCourses I bought that were both affordable and incredibly helpful! My FAVORITE eBooks that I bought, used, and put to work for me can be downloaded here for even cheaper than I paid for them! 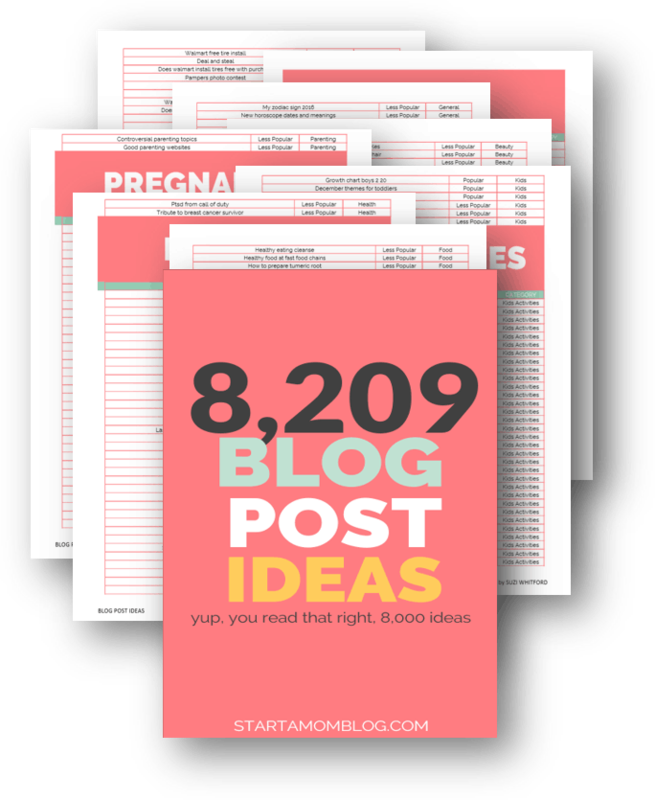 Blog by Number, The 9 Step Blog Plan, Blog by Number Set, Opt-In ABCs, Theme by Number, List by Number, and eBook by Number. And y’all when I say Suzi breaks it down for you, I am talking about short video clips, workbooks that fill in for you, and to the tee step-by-step instructions. Get these pronto! Anyone who knows me knows my entire life is planned and color-coded so this part was one I enjoyed. If you aren’t naturally organized, you will need to be to be successful. Once you start posting and building a following, things can move very fast. It is imperative to keep track of investments and earnings as well as what articles you are sending out to which publications. For me, I make a to-do list every Monday and keep up with it all week. However, I have overall goals for each month that allow me to keep my daily to-do’s aligned with my overall intentions. I followed other successful bloggers like Suzi, Andrew, Rosemarie, and Sharon. Their work is all in different niches, but they were already successful doing exactly what I aspired to do. Imitation is the best form of flattery so I nailed that one! These bloggers do an excellent job of relating to their readers, varying their niches, posting quality content, slaying creative web design, and growing their following. These are all the goals I have as I work toward earning a full-time income from writing. Someone smarter than me said, “If your dreams don’t scare you, they aren’t big enough.” That is so true. It is important to set goals that are attainable and measurable, however they need to push you to get closer and closer to your overall goal. For example, my overall goal is to earn a full-time income from writing so my monthly goals are directly in line with that end in mind. My first month’s goal was to get published 5 times. That was terrifying to me because I knew it would require me to be very vulnerable as some publications would likely turn me away. The idea of having my writing rejected was scary. That goal pushed me to send out my first articles and I was published seven times that month and more times each month after that. This comes naturally to my personality, but it was not always easy. When you are writing about intimate, cob-webby parts of your life, it can muddy the waters. You have to start thinking about how honest you really want to be, how your words might affect those you write about, and how people who once held you in high esteem might change their idea of you once you are vulnerable. I have written posts about my children, about my weight, about my inability to be the perfect parent, and about how we made the decision to medicate our son. None of those posts were met with all positive responses, but each one reached people and resonated with them in ways I never thought possible. That is what people are looking for; real connection born from raw honesty. This step was not a simple one nor do I ever see it becoming easy. Social media, while a great marketer for a business, is also a real pain in the tail. When you use it for more than just posting what you are eating for breakfast, you have to consider rankings, algorithms, and what trends are growing SEO. You also have to consider that you might build a solid, loyal following, and then it is all gone overnight (elbow, elbow to you, Vine!). Taming social media is like trying to bathe a cat; you know it is what is best, but it won’t happen without a fight. This never ends, but it is a great way to connect on a more personal level with your readers. Check out how I do it on my Facebook page and follow for exclusive updates! As you will read in my income report, I have sent out over 50 articles to be considered for publication at other larger companies, blogs, and magazines. This has become a lucrative, but unsteady source of income for me. It is important to note, however, that most publications do not compensate for articles they agree to post. So you must decide whether or not it is worth your time and energy if the only way you are being paid is with a link back to your site or social media pages. For me, I had a goal to drive traffic to my site so being published by large sites like Scary Mommy and Her View From Home was worth it to me, even if I wasn’t being paid. If you are going to make a decent living from affiliate marketing you need to understand what that means. You don’t just sign up for affiliate programs and wait for money to start rolling in. It won’t. You have to do what the name suggests and market. Check out how I started earning affiliate income from Amazon by embedding links into gift-guides for Christmas here. While most of what I read and researched said to start out with Google Adsense, I haven’t earned anything from them as of late. I am an affiliate for them, but the profit is zero so far. I also vowed when I started this to not include any items or products on my site that I wouldn’t or haven’t used myself. Therefore, I don’t sell a lot (yet) because I have only suggested and reviewed items that add genuine value to the lives of my readers. To do this, you must know your readers and what they really want. After the first of the year, I plan to add downloadable PDF resources for homeschoolers that will be my first products for sale. That is how I will being to earn passive income. You guys. For real! I know my strengths and weaknesses and the truth is that when I finally earn enough to call this my full-time gig, I won’t want to design the website. I won’t want to create a logo. I won’t want to deal with the algorithms of social media. So, this is a job I want to do. I want to write. So, that is what I do. The rest I hire out. Of course, I am mindful and keep diligent records of what and who I pay and I stay within the goals I have set. I know that if this does not become profitable in a year, that I will stop pursuing this as a means of income. But I will still write. Because I manage this site all while holding a full time job, managing a household, writing curriculum and lesson plans for our son’s homeschooling, and somehow managing to cook, clean, and keep my husband happy enough to stay in the house, I am barely keeping my head above water. But this is a dream of mine and I am determined. So, for me, hiring affordable but reliable help allowed me to tap into organic relationships with solid people who have talents that I just don’t have. The best part is, these are incredible people with whom I hope to have a friendship for a long time and their gifts bring a priceless relief of stress to my life because I know, without a doubt, they’ve got this. This is CRAZY. The major reason I didn’t start posting articles until September, even though I launched the site in December, was because it took me that long to set aside time to research, read, make lists, follow up, network, etc. Setting up my site alone took me over a month because of frustrations I ran into with my personal lack of technical knowledge. Be prepared for that so there are no surprises. This tip is one I took from another blogger and I am so glad I did. It is incredibly exciting when you earn your first income, even if it is only a dollar! However, in order for this to grow as a business, you need to treat it as such. This means taking all of your earnings and reinvesting them into the growth of your site until it is self-sustaining. As you will read in my income report, I have made over $1000 in my first two months, but I have also invested over $700 more than that into my website. I know this investment will pay off, but it isn’t easy to see that money come and go so quickly. Be sure to wrap your mind around that so you can brace yourself for it. Please sit down when I tell you this. No one could have told me how low things could get. I mean, this isn’t even my real job. This is just a side hustle in hopes of making it into a realized dream. The truth is that I care about growing this blog as a business so much because it is my passion to reach out and connect to like-minded people through being raw and honest and funny about things we face daily. I put my life out there in my articles. This isn’t just another part-time gig for me. So, when a post isn’t popular, when an article isn’t accepted for publication, or when I fall short of a monthly goal, it hurts. I take it personally. As I recommend for every part of life, it is good to gather your tribe. Connect with other writers, bloggers, and social media experts so you can take tips from them, get encouragement from them, and lift them up when they hit bottom. I cannot tell you how much my tiny circle of warriors has talked me back from the ledge. They are crucial. Nothing…and I mean nothing could have prepared me for this. I have been fortunate to post several articles with Scary Mommy, a popular parenting and momming website. Let me tell you that they have some followers who are some of the rudest, most judgmental and sad people I have ever encountered. I was so excited when I saw that my articles were receiving several hundred comments and shares…until I discovered that an article they commissioned me to write on downsizing and living tiny was receiving a ton of comments calling us “trailer trash” and making fun of our lifestyle. That is only the surface of what I have read about myself. When other bloggers tell you not to read the comments, heed their advice. It is a toxic environment for people to pass judgment based on knowing little to nothing about you. Abort. Steer clear! Share your stuff with people you trust and listen to their feedback. Then stop. You will read this tip in a lot of eBooks on blogging but I add it with trepidation. While I completely see the merit in why writers should focus on adding quality content and building their brand, the pathways get narrow and winding after that. Many say to build your email list. Some say to focus on increasing a social following. Lots will tell you to gain subscribers to your website. I don’t have the answer. What I know to be true is that when I obsess over (and I still do) the number of page views, followers, likes, shares, etc. it doesn’t increase anything outside of my need for anxiety medication. It will not glean anything positive when you wrap your worth in your following. People will come and go, but you must know that you would still do this regardless of your friends or following and even if the money dried up. $6 paid to Fivver for a new logo (which I hated, even after five re-do’s). So I hired a Graphic Designer. $85 paid out for a work-cation to have a half day meeting with my web designer to glean info so I can learn the behind-the-scenes jobs to begin doing more of it myself (this is a total money saver). It should be noted that, I am fully aware (as is my bank account) that I have invested over $700 more into this blog as a business than I have made from it, thus far. Consider this, however: If I were to be starting a shop or a business in a brick and mortar location, I would have overhead, rent, utilities, and capitol for products–even if I ran it entirely by myself. I have currently sent out 54 articles to other, larger publications. I have had 22 articles picked up and published by those publications. I have been published in two magazines, featured in two other guest blogs, done one interview, and have one about to be published. Of those 54 original posts, 12 have been outright rejected. That leaves 20 I am still awaiting responses from (all of which were sent out last week). I only made money from 9 of the 22 articles published and I have 7 more that are awaiting profit because those particular sites pay by popularity; meaning I could make up to $150 per post, or nothing at all. In no way do I claim to be an expert on the subject, but I wanted to share my journey thus far in hopes of encouraging others starting out. I’ve heard that many don’t make much of an income for months so maybe these tips will help you turn a profit early! Enjoy, click and use the suggested resources, follow me on Facebook, and subscribe to my site so you can have access to exclusive tips like these! This is an inspiring blogging story! I’m glad you are sharing it with the world. This goes to show you the opportunity we have online as bloggers and content creators. You seem like a prolific writer. I think that is one of the skills that has helped you make most of your money at the beginning of your blogging journey. You did way better than I did when I first started blogging online. 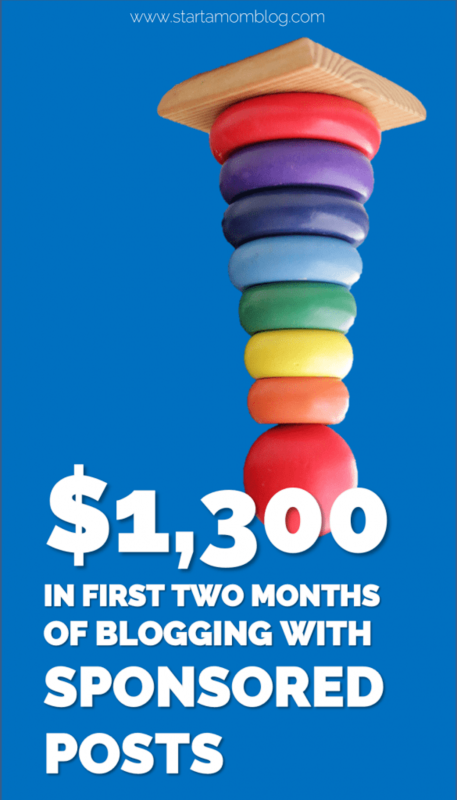 It took me about two years to make my first affiliate commission niche blogging. I was also a bit dumb approaching this blogging business. I agree with what you’ve said, if you want blogging to pay you like a real business then you should treat it like one! 😉 this is so true! Thank you so much for sharing your story here! It will really help the new bloggers, for sure! Thanks so much for reading! Hoping my income continues to grow.